A common misconception by inexperienced or first-time players is that all gaming providers must be legit and on the up-and-up since they are online and in business. This unfortunately could not be farther from the truth. Thanks to the huge boost that originally spawned from the poker boom, the internet gaming community drew the attention of dozens of companies and individuals that saw an opportunity to quickly put a site online and take advantage of the elevated interest. 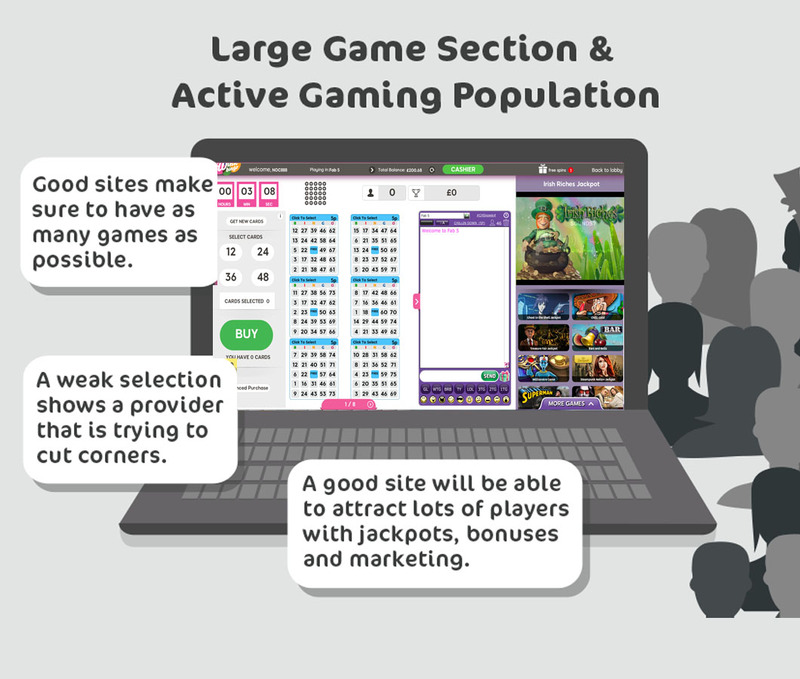 First and foremost, the steps taken by an online bingo provider to provide a secure gaming environment should be the number one factor you look at. Top bingo sites have to be monitored and audited by multiple organization’s whose job it is to make sure that the business is legal, adheres to current gambling laws, has a valid gaming, and employs the most up-to-date anti-fraud software. There’s a few ways you can find out if your bingo provider is legitimate. 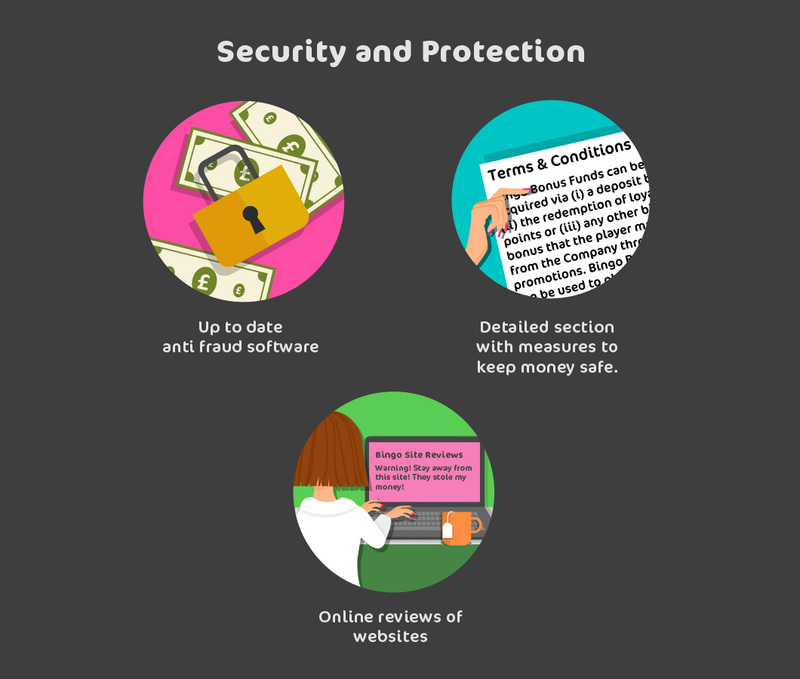 First, they will have a dedicated section on their website full of details on the measures they use to keep your money safe. Good operators won’t hide this information, as they know that smart players will come looking for it. Secondly, do an online search and visit reputable websites who rank and catalog gaming providers and see if the one you’re interested in playing on is listed. These websites have already done the in-depth research to make sure that the site’s that appear on their “approved provider” pages comply with their standards. The best online bingo providers post lots of detail on how their primary financial institution works and also offer you multiple options when it comes to making deposits and withdrawals. If the site you’re looking at only provides a single payment processor for getting your money in and out, you’re likely dealing with a company that is incredibly small and doesn’t have the infrastructure you should be looking for. This is also another area where the internet can be of great use. See if you can find chat boards and forums online where others discuss their experiences playing on the providers you’re interested in. See if other users have had bad experiences regarding a delay when withdrawing funds (which could mean that the gaming site doesn’t have enough cash in the bank to be able to easily handle the withdrawal), a major red flag. Try to avoid gaming sites that don’t have a lot of active users. You might think of it as a good opportunity to increase your bingo odds by playing against less players, but ask yourself the question “if this place is so great, why aren’t there more people playing?” A great site with a solid marketing plan, promotions, jackpots and software should be able to draw in participates, especially if they’ve been in operation for some time. If they aren’t able to attract the standard player, something is amiss and you should move on to another site. Just like when picking a great online poker room, you want a bingo site that offers the most popular and largest variations of the game available. Think of it this way, if a poker room only offered No-Limit Texas Hold’em and excluded Limit Hold’em, Omaha, Razz and 7-Card Stud, you wouldn’t want to play there because you would be extremely limited in game type. The same goes for bingo. Operators that value and care about what their player’s want do everything they can to keep up with popular trends and make sure that their sites have just about every type of game imaginable. Online bingo portals with limited cash flow will not be actively pursuing to keep a lot of ongoing jackpots and promotions running on their site for fear of cash flow issues. Most legitimate operations will have many different specials running at any given time, including promotions for first-time customers, players that accumulate a lot of points, and unique events. Does the site offer live chat, is there a customer service support system in place for making sure that player issues are dealt with in a timely manner? Having reliable customer service is another hallmark of a strong operator, as it proves that they have dedicated the resources and manpower necessary to put the needs of the player first. The most successful bingo sites have the working capital and know how to go out and aggressively market for new customers. They’ll run ads online and possibly even television commercials. Giving your time and money to these sites is normally a safe bet because the operators know that by making themselves high profile, it puts a lot of attention on them from regulatory committees and other establishments who will want to make sure they are operating legally. By following the guidelines provided here, you should have the information and tools you need to confidently decide if your bingo site is secure. Don’t be afraid of putting in a little personal research time and doing some independent study, because when it comes to your money, you want to make sure you are doing everything you can to keep your investment safe. Be sure also to check our guide to Choosing & Trusting an online bingo site.